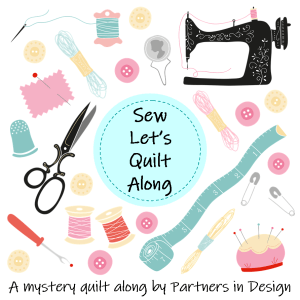 I had so looked forward to the release of blocks 3 and 4 of I Wish You A Merry Quilt Along. Then, I had to spend most of my day tending to the business of getting a new phone. Since I was out, I bought a fat quarter of some green tree fabric. I had to make something positive out of this day. I finished block 3, Santa Belt. My Santa is a Cosmic Santa. I don’t know if you can see that Santa’s suit has gold stars. This is the first, and possibly the last time I work with metallic fabric. I ended up using a light supportive fusible on the back of the metallic. To make sure it would stand the test of washing, I placed a piece of the metallic in a cup of water. Now, I am trying to decide on fabric for Block # 4. The ornaments really remind me of the type we used when I was a child. I need time to think about this one.